Save a missing boy and immerse yourself in this breathtaking adventure! When a mysterious painting of a spooky old castle appears on the doorstep of Bella’s house, her happy and peaceful life crumbles to dust. Her child disappears suddenly and all police and FBI efforts to find him are in vain. Bella's only option is to enlist the help of some otherworldly friends. Join Bella as she travels through enchanted paintings, exploring the worlds within them. Pick up items you might need to solve brain-twisting puzzles and rescue Bella's son in this amazing hidden-object adventure! 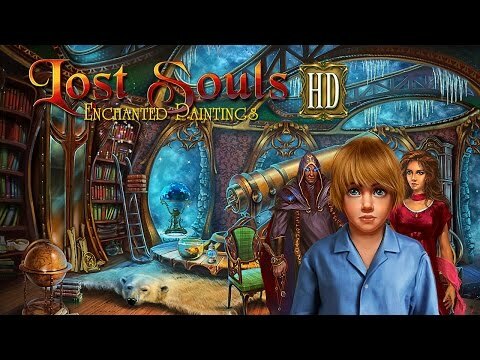 Lost Souls: Enchanted Paintings © 2011 - 2019 Fenomen Games. Published by G5 Entertainment AB.